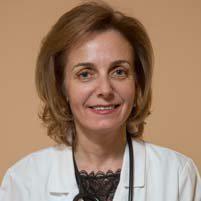 Irina Kogan, MD: Neurologist Hollis, NY & Flatbush Brooklyn, NY: Advanced Neurology P.C. Advanced Neurology P.C. is a bilingual English and Russian neurology facility, conveniently located on Kings Highway, Brooklyn. Our office is equipped with the latest technology as well as accommodations for the disabled, elderly and children. Our welcoming and highly trained staff are here every day to answer all questions. Board certified neurologist, Dr. Irina Kogan specializes in developmental disabilities, headache, neuromuscular disorders, multiple sclerosis, vestibular disorders, epilepsy, stroke and dementia and is affiliated with multiple hospitals in New York and New Jersey. She is proud to provide highly specialized and individualized treatments, as well as take the extra time to provide educational information to patients and caretakers.